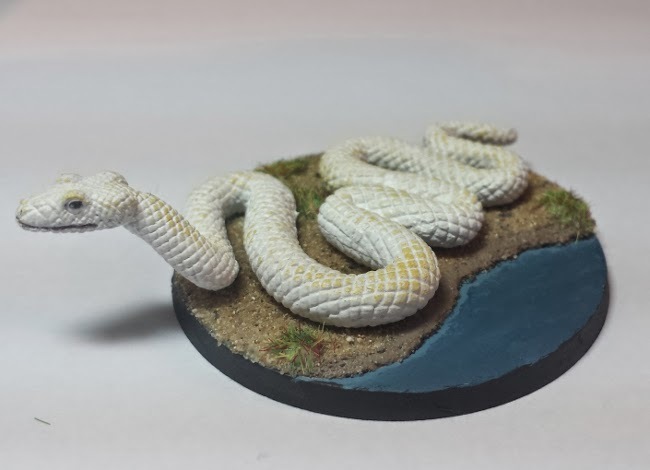 The white snake: can be used for any snake-like monster, but the fact that it is albino gives it a different quality. 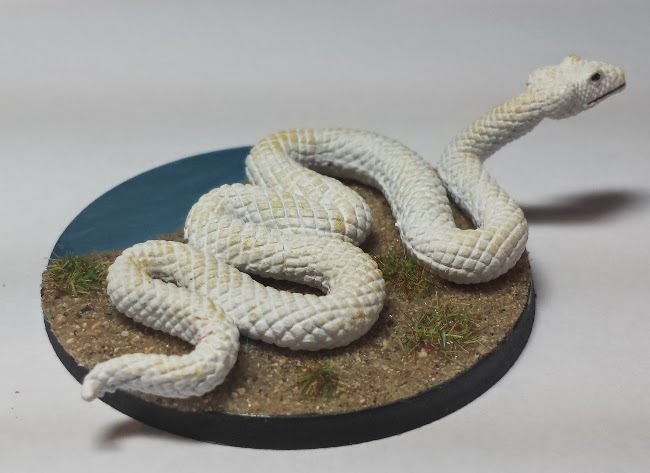 As an adventurer, if I encountered a white snake in a game, my first assumption would that it was magical, or at least significant in some way. You know, different then your average giant snake. I used it as a Heway in my Al-Qadim Campaign. Heway's are evil snake creatures that poison oases and then devour the corpse of anything unfortunate enough to drink from it.